In november 2018 ESA announced that the Oxia Planum region is favoured for the ExoMars surface mission. 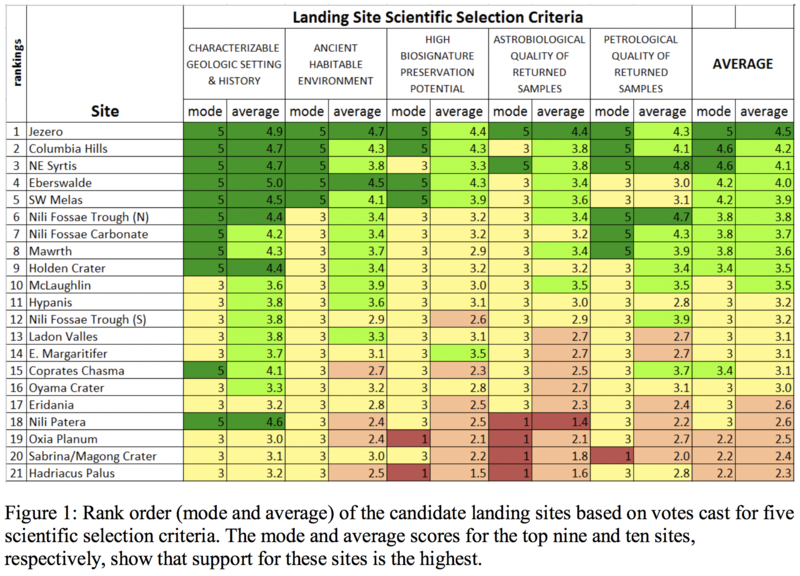 The figure above from this answer about the 21 potential landing sites for the Mars 2020 mission shows that Oxia Planum was far below in the rank order. Question: Why is there such a big difference in evaluating between NASA and ESA/Roscosmos ? Browse other questions tagged mars landing astrobiology exomars site-selection or ask your own question. What were the 21 potential landing sites for the Mars 2020 mission? Why is it so important to visit Columbia Hills in Gusev Crater again?